Which air polishing devices are currently designed for low-abrasive powders? The technology is rapidly changing in this area, but two companies that have air polisher with substantial versatility are Hu-Friedy/EMS and Acteon. Hu-Friedy/EMS is a leader in subgingival air polishing as it was the first to provide scientific studies supporting devices with low-abrasive powders for managing biofilm as early as 2003. 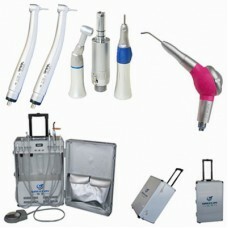 Hu-Friedy/EMS makes a variety of air polishing devices, but two of their most versatile devices warrant a closer look. Another innovative device in subgingival air polishing is Acteon's Air-N-Go Easy. This is a portable device that connects directly into the dental unit and has four different nozzles for different clinical needs. It has the versatility of sodium bicarbonate or calcium carbonate supragingival powders and glycine powder for supra- and subgingival use. 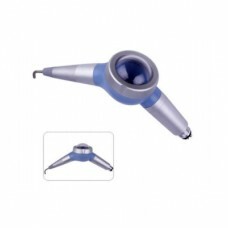 The four nozzles are the Supra nozzle using sodium bicarbonate or calcium carbonate powder for supragingival use, the Perio-Easy nozzle using glycine powder for subgingival biofilm removal in shallow pockets, the Perio-Maintenance nozzle using glycine powder supragingivally, and the Perio nozzle using glycine powder for deeper periodontal pockets.